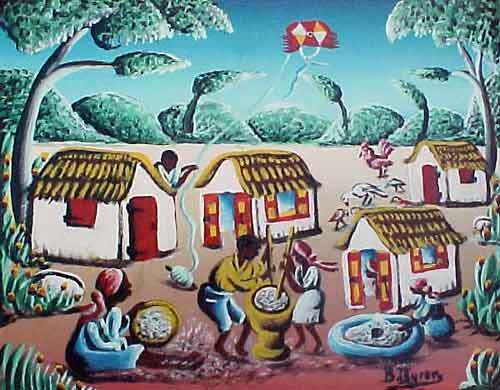 Byrond was born in Jacmel on June 23,1920.In his twenties, he earned a living as a carpenter - shipmaker.A visit to the Centre d'art convinced him to become a painter.Back in Jacmel, he studied under Fernand Jean Louis. 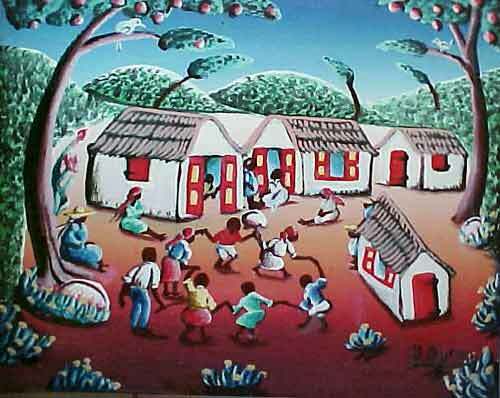 In 1955, he joined the Centre d'art where he worked under other greats in to mature his technique. 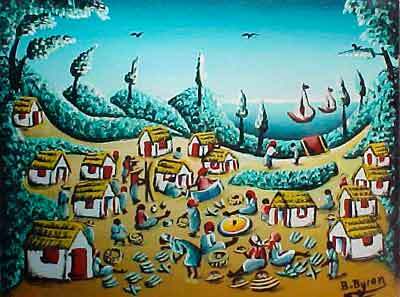 A combination fo "Blue-Green"as he calls it dominates in his paintings. 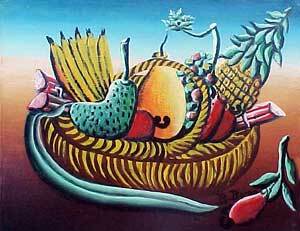 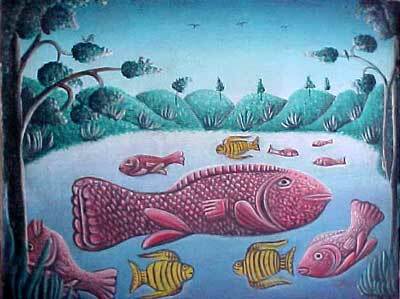 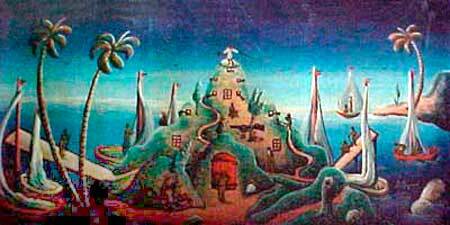 He is considered the" Most Romantic Naive Painter of Haitian Art ". 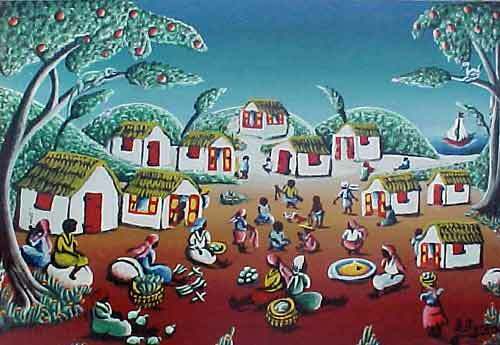 His works have been exhibited worldwide and is part of the permanent collection of several museums including the "Milwaukee Museum". Died in 2004.
" 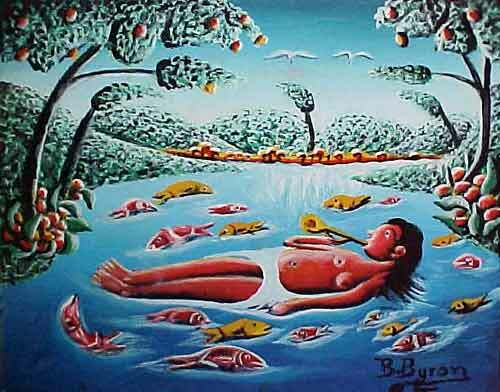 A la Nage "